Sarah of YA Librarian Tales has a new feature called "Life Behind the Reference Desk"-and guess who her first librarian guest is? Me! Be sure to check out the interview to see what life as a librarian is really like! It was a great interview. Thanks for the website recommendations, we're always looking for new recourses and fellow librarians are always the best ones. I also thought it was a great interview, too. Sounds like you really love your job (and your job sounds cool -- and more fun than my own Reference job). :) I'm looking forward to seeing more posts about life in LibraryLand. THank you so much for doing it!! You made my first feature a very successful one. So cool! I've never seen Sarah's blog before, but I definitely want to poke around there some more. 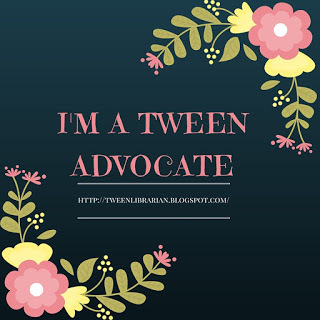 How did you set up your teen advisory board? What exactly do they do? I'd love to read more about that!